Teach English in South Korea! No teaching experience required! Teach English in South Korea with the EPIK program (public school system) or a private language school (Called hagwons in South Korea). Get paid accommodation, airfare allowance, cash relocation bonuses, health benefits, and more! South Korea is a great place to teach English abroad because the country has a lot of beautiful places to travel with friends or on your own and you can also save a lot of money! Do you want to live in the city, the mountain, or the beach? You can have it all in South Korea! 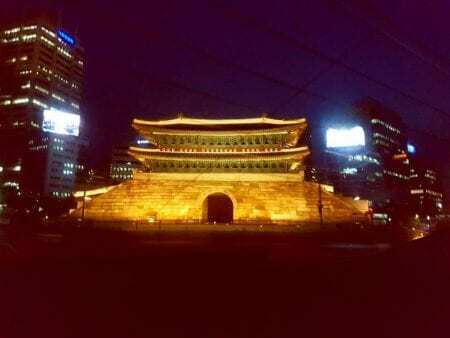 Seoul is a world-class city where the new meets the old. Gorgeous temples mingle with mighty glass skyscrapers, and old industrial areas make space for eco-friendly urban parks. Most South Korean private language schools are located in Seoul. If you are interested in teaching English with EPIK, teaching experience is preferred. Busan is a big and colourful city with nice beaches to enjoy in the summer and accessible mountain parks to hike in on a mild afternoon. 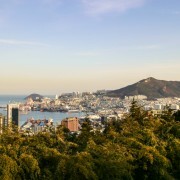 Busan is a thriving city where there are plenty of job opportunities for certified ESL teachers. Some teaching experience and a 50-hour Practicum are preferred. Jeju Island is the jewel of South Korea. It is known as the Hawaii of East Asia for its beautiful beaches and turquoise waters. 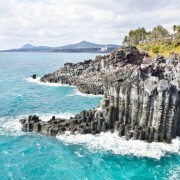 Jeju Island is so hidden that few teachers know it exists, so this will be our little secret! Enjoy nature and ancient South Korean traditions in Jeju Island. Teach English in paradise with OnTESOL! Daegu is perfect for young university graduates who are starting their first English teaching job abroad. 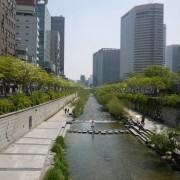 It provides a big-city environment without the difficulties of getting a job in big cities like Seoul or Busan. The biggest network of young foreign teachers is in Daegu, so you will never feel bored or alone. Gwangju is a medium-sized city and it is preferred by those who want to teach English in a busy but friendly environment. Gwangju is full of beautiful parks to hike or bike on your free weekends. The Gwangju Design Biennale welcomes artists and architects from all over the world, so there are always interesting galleries and outdoors expositions to visit. If you would like to teach English in a beautiful rural area, Jeonju is the place! It has a rich history as South Korea’s gastronomical center. For those teaching English in another place, Jeonju is only an hour or two by train, so make sure to visit the Jeonju Bibimbap food festival and spend the weekend visiting ancient temples, towns and castles. Ulsan is the industrial hub of South Korea and it makes a perfect city for teaching business English. Some of the largest multinational corporations operate from Ulsan, including Hyundai. As a medium-sized city in one of the greenest countries in the world, ESL teachers in Ulsan enjoy both the convenience of city life and the tranquility of the countryside and natural parks.